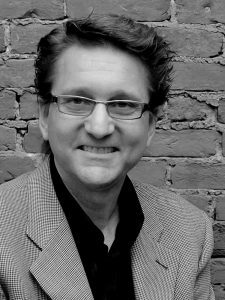 Matt joined HHL Architects in 1989, became a registered architect in 1990, and became partner at HHL in 1997. He received an AAS in Architectural Technology from Erie Community College, followed by a BPS in Architecture from the University at Buffalo. He is responsible for staff and business development, while leading project design and management. He has extensive experience managing complex, multi-million dollar projects requiring communication between consulting firms. Highlights include leading the restoration and reconstruction of Frank Lloyd Wright’s Darwin D. Martin Estate; the award-winning adaptive reuse of NYC’s historic PS109 into El Barrio’s Artspace (PS109); the multiple office headquarters design for Delaware North Companies; and the M&T Bank Design Standards. Matt is involved in the Western New York community, serving on boards such as American Institute of Architects NYS, and Downtown Buffalo Neighborhood Development. In 1998, Matt was recognized by Business First in their annual 40 Under 40 awards, and received the Professional Excellence Award for service to the profession by the local AIA chapter in 2003.